The most basic component of training is the balance between workout duration and workout intensity. Whether you are an Olympian or a novice "how long" and "how hard" are the only two variables that can be used to produce a workout within a given sport. How these are balanced is at the heart of preparing for competition. It seems this should be simple, but it’s not. Many athletes get it wrong in their training and it’s evident on race day. In the first couple of years that athletes are in their sport they discover that increasing workout durations and therefore volume (the sum total of workout durations for a period of time such as a week) improves their performance. They get faster by simply training with longer durations or more miles/kilometers. In fact, the rate of performance improvement at this stage is so steep that if continued long enough the athlete would eventually break a world record in their sport. But that’s rare. Something changes in these first few years. It’s easy to think in terms of duration (and therefore weekly volume). One can determine a personal hours number and assume this is the key to building their fitness. That’s evident by how most athletes think and talk about training. Unfortunately, this way of viewing training continues well beyond the novice stage. After several years in the sport if you ask an athlete how training is going he or she will still nearly always cite volume: “Last year at this time I was training 8 hours per week and now I’m training 10.” The key to their performance simply becomes doing more duration and more volume. “If next year I can train 12 hours per week and then 14 the following year and 16 after that then I will be unbeatable.” Nearly all athletes, regardless of their levels of performance, think the key is “train longer.” After all it worked really well for the first few years so why not continue down that same path? More weekly volume becomes their focus. They reconfigure their lives in order to fit in more and longer workouts. Very few athletes talk about their performance as a product of workout intensity. There’s a good reason for that oversight. How do you put a number on intensity? I can say I ran for one hour. That’s easy to measure and quite understandable by everyone. But how is the intensity of that one-hour run measured and expressed? That’s hard to do without getting bogged down in the details of the warm-up, work intervals, recovery intervals, and cool down. Most seem to understand that intensity is some how important, but it’s not easy to express so it’s largely ignored or at best given limited credit with a long-winded explanation. Instead, more weekly volume continues to be the key to success throughout the athlete’s career—with obvious limitations as time passes. In the first few years in a sport there is no doubt that increased duration is effective. Train more; within the boundaries of one’s physical, mental, and time constraints; and better performances are a common result. I came to realize quite early in my coaching that an ever-increasing weekly volume was not the path to take. At some point the return on investment plateaus and may even turn downward. I found that for the advanced and experienced athlete – usually starting around the fourth year of dedicated training – the focus needs to shift toward intensity. Making such a shift often keeps the positive performance slope steep for a few more seasons. Of course, by all of this I don’t mean that duration is unimportant. You can’t train a total of two hours per week with high intensity only and expect a personal best performance in a marathon simply because you’re in the fourth year of training. You’ve still got to put in a certain amount of volume. How much? I’ve come to think of the duration-intensity relationship as proportions of training that must somehow be balanced. To be more clear, I believe that performance on race day is roughly 60 percent determined by recent training intensity and about 40 percent by workout durations (weekly volume). That’s just my opinion from a few years of competing and coaching. I know of no research that substantiates that ratio. But there is research that supports the notion that intensity is a better predictor of performance than is duration or volume, especially in the more experienced and advanced athletes. I’ve listed some below. By clicking on the references you can read the abstracts. These studies are all around 10 to 20 years old as there seemed to be more scientific interest in the topic then (it’s now shifted more toward the balance, or “polarization,” of training intensities). The bottom line here is that for the advanced athlete with about four or more years of dedicated and consistent training, the key to performance improvement shifts toward intensity as duration plays a somewhat lesser, but not unimportant, role. Getting that balance right is more complicated than simply doing more weekly volume. This is determined by the type of event you're training for. Getting that balance right is the key to success. Helgerud, J., K. Høydal, E. Wang, et al. 2007. Aerobic high-intensity intervals improve VO2max more than moderate training. Medicine and Science in Sports and Exercise 39 (4): 665-671. Lehmann, M, H. Mann, U. Gastmann, et al. 1996. Unaccustomed high-mileage vs intensity training-related changes in performance and serum amino acid levels. International Journal of Sports Medicine 17 (3): 187-192. Midgley, A.W., L.R. McNaughton, and M. Wilkinson. 2006. Is there an optimal training intensity for enhancing the maximal oxygen uptake of distance runners? : empirical research findings, current opinions, physiological rationale and practical recommendations. Sports Medicine 36 (2): 117-132. Mujika, I., J.C. Chatard, T. Busson, et al. 1995. Effects of training on performance in competitive swimming. Canadian Journal of Applied Physiology 20 (4): 395-406. I am a former All- American distance runner, turned triathlete. I am now a TP coach and one of my athletes is a burned out swimmer turned cyclist. She was a state champion in the butterfly and back stroke in high school and spent hours a day training until 2 years ago. She swam 2 seasons in college and then took up cycling. She is now a senior in college and wants to compete in the Collegiate Nationals for cycling. I am curious how duration would work in this circumstance? She has a well developed aerobic system and has improved, as you cite, by increasing cycling volume. In order to improve, do you think she needs to continue increasing her total cycling volume or keep that steady and increase the intervals? I have had her increasing the intervals recently, since for a time, she did not want to have anything to do with intervals and just rode her bike a lot of miles. Now she is open to being coached. So, I guess what I am wondering is, in the case of an athlete changing sports, whether the same rule of increasing duration will improve performance (for about 4 years) or whether that would be different if it is a well trained athlete? Hi Pam--Good question. There are many nuanced variables that I didn't get into in this blog. You've nailed one of them--the athlete who changes from one endurance sport to another. Tough one to answer. I suppose the starting place would be that the swimmer who becomes a cyclist probably has a well-developed cardiorespiratory system. The challenges are more peripheral with muscular development of the hips and legs, primarily. This is still going to take some time. Can't say how long as there are a lot of "it depends." But I'd venture a guess that at least two years of duration/volume focus would be beneficial. That doesn't mean no high intensity training. It's just a matter of how much and when. The good news is that cycling is perhaps one of the easiest sports to start anew. Swimming requires developing a highly complex skill on top of duration and intensity. Running places great orthopedic stress on the legs and hips and takes a long time for the necessary soft tissue "toughness" to develop. This alone can be 3 or 4 years. I wish I could be more specific for you here but each such athlete is an n of 1. I suspect you'll figure it for her over time. Good luck! I have both your Triathlete's Training Bible and Your Best Triathlon books and with them I've learned a lot about the importance of purposeful training and I find myself quickly improving every day (thank you in advance for that!). Now I have a question regarding the Annual Hours between them. In which way is training volume modified on Your Best Triathlon from the Table 7.5 of Weekly Training Hours from the Training Bible? I found that, for example the Sprint plan shifts from 400 minimum annual hours to up to 500 hours, so apparently there's not much correlation between them. What's the point on that? It would be great if you could explain a little about it. Thanks! HI Jan--I'm afraid I can't answer your question with specifics as I am away from my office and won't have access to the books for several more weeks. We're moving and things are in storage. So either you'll have to wait or give me more details so I can understand the numbers you're wondering about. Sorry for the delay. I think I may have ending up figuring it by myself. For example, taking a look on the Sprint plan from "Your Best", you establish a margin from 7:10 - 14:50 weekly training hours on Base 1 which according to the table on the Training Bible, that would be around 400 to even 750 annual training hours, taking in to account that in the R&R phase from that period the weekly hours go up to 10:30 (which according to the table, that would be the 750 annual load). Does that mean that the plan in "Your Best" is intended to be completely flexible in conjunction with having an ATP that works with TSS (like in Trainingpeaks, which is my case)so that you can make adjustments here and there to fit the hours in the plan and your own seasonal objectives with a target CTL for the A races? Does that make any sense or am I overthinking a lot about it? Thank you and don't worry about the delay, your help is invaluable! Apologies if this is the wrong place to post this message. I am 49, overweight, work shifts, a weak swimmer who can only really do the breast stroke, have always had an interest in triathlons, but done nothing further. I have a decent bike and go out once sometimes twice a week. Where do I start with triathlon training in terms of workout schedules for someone with my fitness level and learning about each discipline, for example, is fast after 50, a good place to start? Have a friend who likes to set mileage goals, then does the flattest, weakest rides (STRAVA RE scores < 50) he can put together to meet those goals. He seems to have stopped riding altogether now, after tapering off into short, flat, slow rides the last 2 months. I'm not surprised, as I have always liked HIIT type training because I like to challenge myself. Do you have any thoughts on how to stay motivated, especially during the holiday season at the end of the year? HIIT, LSD, ???. Which is best? roi joi - Hard question to give a definitive answer to as we're all different. But the bottom line remains that most all of us do this for fun. So include workouts that you find to be fun. Hi Joe, thanks for the great article. I've switched from cycling to running about a year ago and I am currently planning to do a few ultra trail races next year. 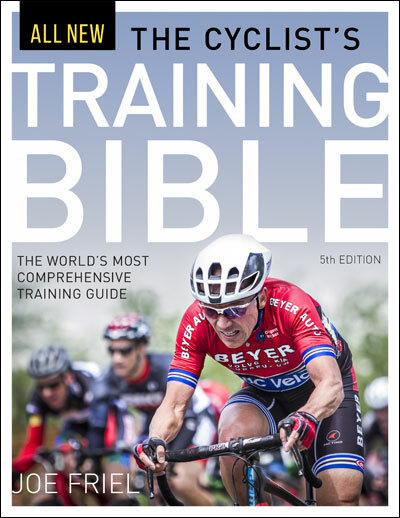 I have your training bible for cyclists is there anything similar out there for runners? 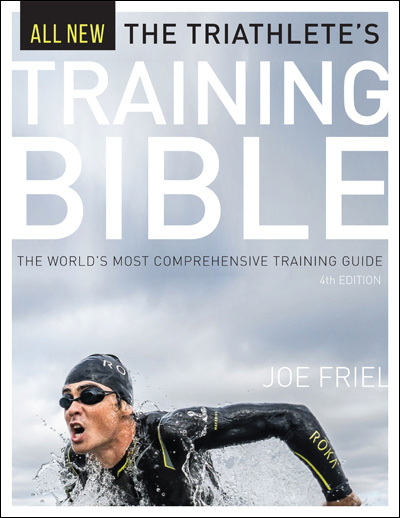 Or can I apply the principles you use in the training bible to running as well? Thanks for your work. Keep it up! Pascaleissler - I don't know of any such books for runners but there may well be some. The principles apply regardless of the endurance sport. Hi joe - trying to figure out how to combine recommendations for weekly and mesocycle workouts from “fast after 50” with my TSS recommendations from training peaks. Current plan is to use the weekly workout recommendations based on priority workouts at each stage of training and then makeup missing weekly TSS with lower intensity efforts. CallMeTBone - Are you talking about the 9-day week described in Fast After 50? If so you really can't use the TSS tables for that. Instead you might read this -https://www.joefrielsblog.com/2016/07/the-9-day-training-week.html. Basically, it's doing all of your high intensity/long workouts every third day. TSS won't be neat and pretty as a result. But that's ok as you have to think then in 9-day weekly TSS numbers instead of 7. I just finished reading your "Your first triathlon" and have a very simple question regarding the bike training. For frequent travelers carrying a bike around the world is not the easiest thing. Not to mention carrying the bike trainer. It seems to me you discarded the option to work out using a electric bike in the gym (I think they are called stationary bikes...? 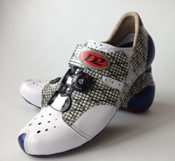 ), always mentioning the bike trainer instead. Is it very ineffective, or it could work? Is there any model of such bikes that would work? At the same time, do you know any resource (articles/books/etc.) with tricks and tips about triathlon training for frequent travelers? Thanks a lot, I loved your book and already purchased the "triathlon bible" (but will wait a bit before reading it). Javier--Yes it is difficult to get a workout when traveling. Most riders, I think, probably rely on hotel stationary bikes. Some may carry their bikes with them if they will be gone some time but can get on the road/trail. But it's a hassle. Carrying a indoor trainer along with a bike would be an even bigger headache. I don't know of any easy solutions but perhaps someone who also shares your dilemma and has a solution will comment here. I am following your "Your First Triathlon" and have a question. I couldn't find yet a race that fits my business schedule. That doesn't affect my motivation, and I am already at week 8 of your suggested training plan (for experienced runners -- if that makes a difference). I was wondering what adjustments to the plan I should make if I don't have a race in one month from now (that is, 12 weeks after I started). Should I keep repeating one (or more) week's schedule? If so, which one(s)? Javier--I'd suggest repeating the last 3 weeks prior to the last week of the plan (weeks 9, 10, 11) until the week before your race when you should do the last week of the plan (week 12). Good luck!